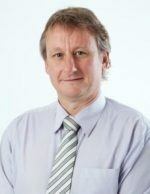 Robert has been involved in the financial services industry for over 20 years. During this time, he has occupied a number of very successful roles while employed by one of Australia’s major banks. Rob has spent the last 3 years specialising in private practice and has the ability to make the most complex situations, easy and understandable. Robert has been undertaking continual studies and workshops to enhance his expertise as a financial planner, and has been awarded Certified Financial Planner (CFP) accreditation through the Financial Planning Association of Australia. As an Authorised Representative, Robert believes in helping his clients build a comprehensive program to make the most of their earning potential during their working years, as well as helping them with their retirement planning, superannuation, risk insurance and estate planning needs. He achieves this by striving to providing quality advice, personalised service and practical ideas to deliver superior solutions.